Nerf has revealed another new RC drone through CNET. The new N-Strike Elite Terrascout RC Drone Blaster is an RC offroading vehicle that is able to travel and fire 18 Nerf elite darts. 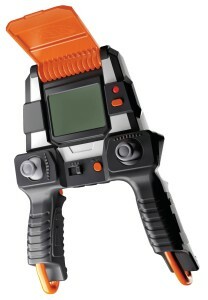 Able to fire a single dart by tapping the trigger on the controller or holding the trigger down for automatic firing. Controller is able to slide onto the back of the drone’s blaster and snap into place for storage purposes. 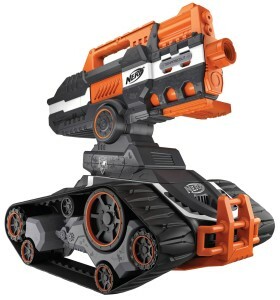 This RC Drone blaster appears to be quite a fun blaster to use and I really like the fact that you are able to see live footage of the blaster’s perspective. Unfortunately the Terrascout is a whopping $200 and I’d hate to see how much it is in Australia and New Zealand. 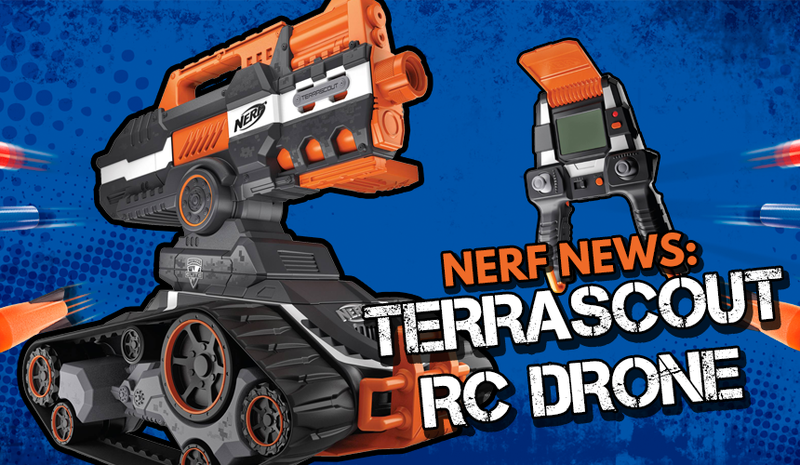 At least the Terrascout looks much more hopeful than the Terradrone (Nerf’s last drone blaster). 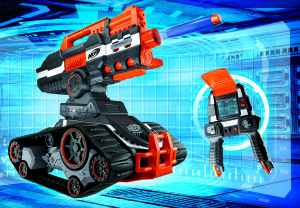 This entry was posted in News/Updates and tagged blaster, blaster hub, drone, elite, n-strike, nerf, news, rc, remote, terrascout, trigger on May 6, 2016 by JJ Reviews.